Whenever I go to town shopping I try to find a few extra minutes to visit Lake Alford and see what birds are around. Birds that live on ponds in the middle of the city act quite differently from ones that live with fewer people and more open spaces around. I find it a bit frustrating to have a pond full of water birds so used to people feeding them that they immediately come rushing over in the expectation of some scraps of food. But - - there are birds there I don't normally see out here on the bay - and - there are occasionally some very nice ones! 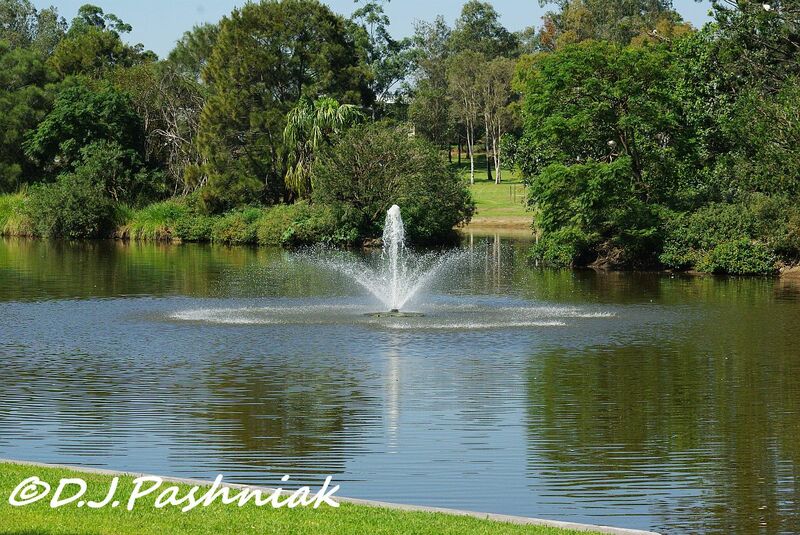 The water on some of the ponds is kept well circulated and open. Other parts of the ponds are almost covered with water plants and water lilies. 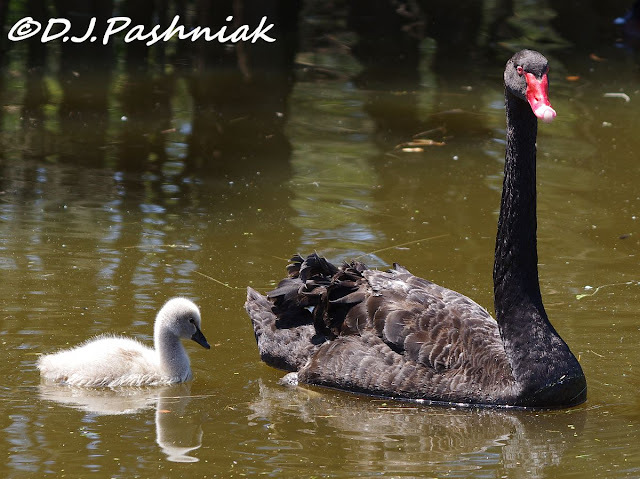 The star of the show for me this time was a single 'chick' of which a pair of Black Swans was being very protective. A lot of Cattle Egrets were nesting in the trees on one of the islands. They made interesting photos if I could just find one to keep still and visible out of the foliage. This is their breeding plumage. Oh, Mick!! The Black Swan is SO beautiful!! Wonderful captures and they did take my breath away!!! Thank you so much for sharing!! I do hope you have a great new week!! Enjoy!! How cute to see the Swan chick. The Black Swans are beautiful. I love the egret in breeding colors, it is also a gorgeous bird. Great shots. Have a happy week ahead! The egret looks quite different in its breeding colours. The little chick is just gorgeous ... worth your visit to the lake. oh, that swan is adorable! Cattle egrets are so pretty in their breeding feathers, the baby swan is just darling being so well cared for ! Beautiful Spring weather there! 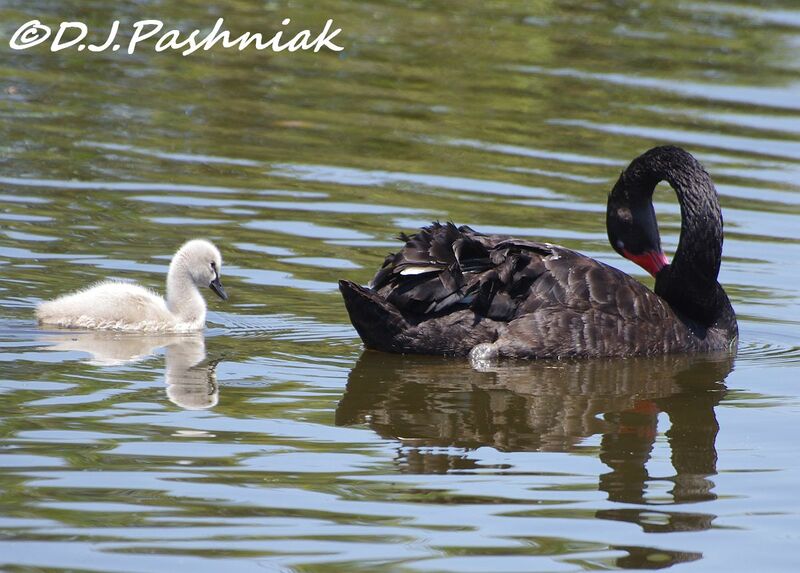 Pretty shots - love that black swan! I agree! Lovely scenes and interesting about that one chick. I wonder if it is an only child. I can't say I'm keen on looking for birds in busy local parks. I always feel self conscious walking around wearing binoculars. Like you say though, occasionally some of the birds are a little less wild than their truly wild counterparts. Maybe I should give it another go. I certainly would if there were Cattle Egrets breeding locally. 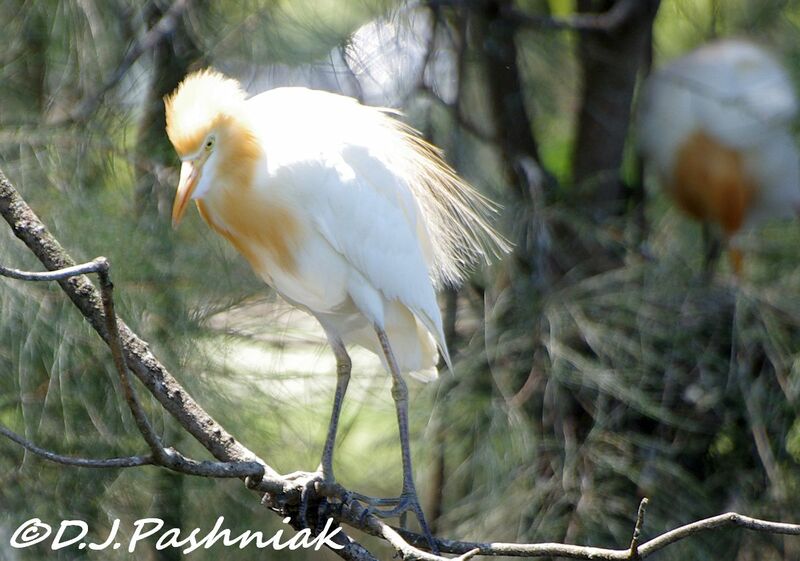 Your egret is stunning in that yellowy breeding plumage. I see them like that each spring when I travel to Spain. I'd never heard of cattle egrets. They're beautiful, aren't they? 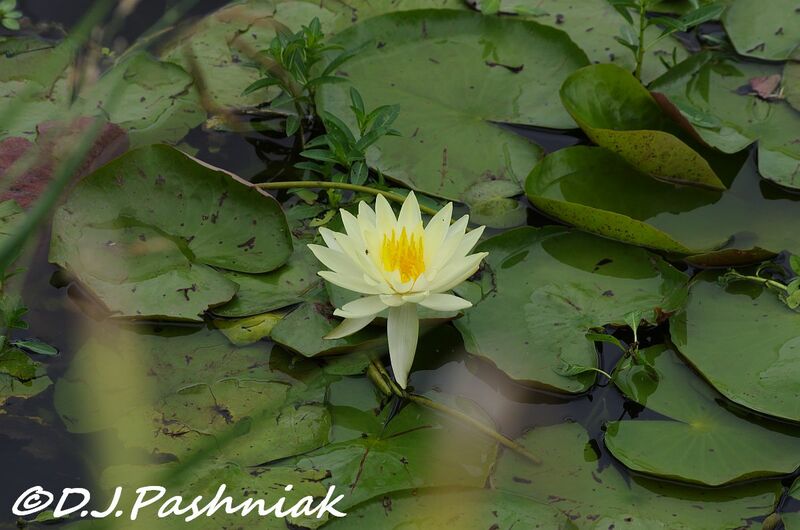 love the waterlily and the Black Swan family. Only one chick? But so cute. Great shots. These birds look about as tame as some of the ones on Lord Howe! Saw a few Cattle Egrets there, but yours has more colour. A stunning area and beautiful birds. What great photos, especially that last one of the cattle egret. Very beautiful coloration on the head and breast feathers. What a great series of images and a beautiful place to visit and bird watch! 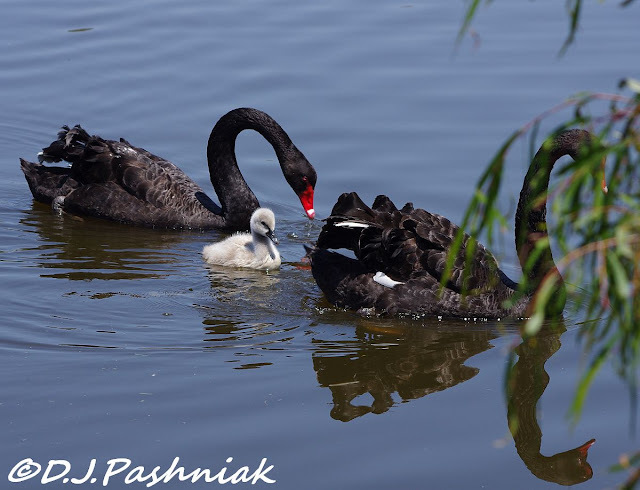 Beautiful Black Swan family, mick! The black swans and that chick couldn't be any more beautiful. Nature at its most cute and elegant. The swans are gorgeous and I love the water lily. What a stunning setting, and always a joy to see a Cattle Egret.